With an open and spacious floor plan, this stunning home has all of the upgrades you could want, on a beautiful lot that backs up to woods! From the moment you enter this home, you will be impressed - molding details, rich wood flooring, kitchen that boasts double ovens and an abundant island, and built in bookcases in the great room. The home has an expansive back paver patio perfect to enjoy the view, and a tiered yard with multiple entertaining areas. Amenity rich community, including an impressive pool with water slide. 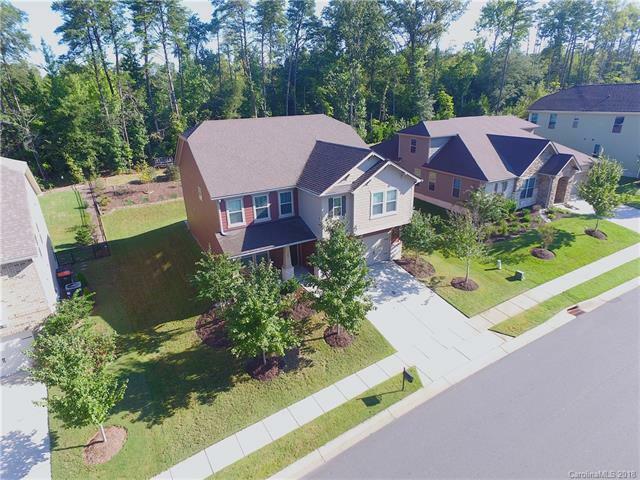 This home is definitely a must see - look no further for your perfect Tega Cay home!